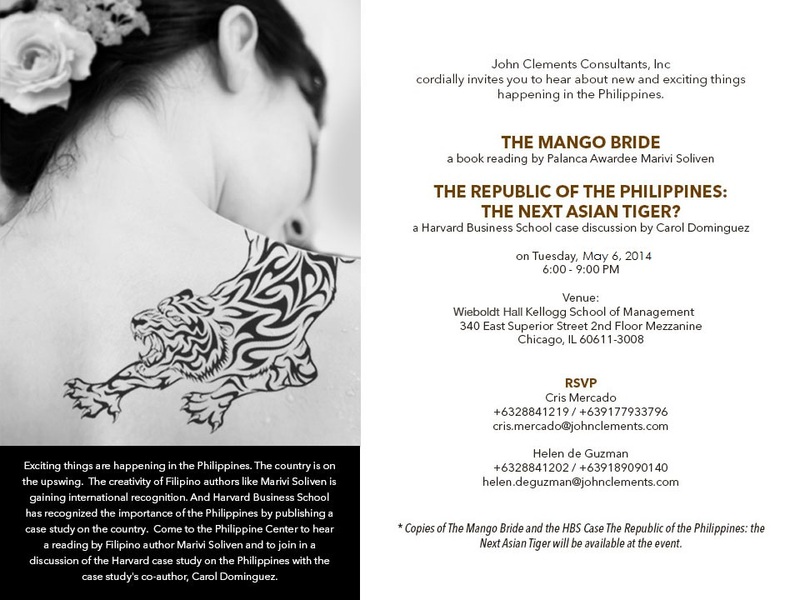 It took weeks of emailed correspondence, several Chicago friends offering advice and a last minute venue change, but finally The Mango Bride/ Harvard Business School road show arrives in my favorite Midwest City. If you live in or near Chicago, please join us at the Kellogg School of Management on May 6. This is brilliant and fabulous Marivi; congrats! I hope you are planning a university series like this in more cities around the nation.